My name is Vlad Mihalcea, and I wear many hats. One is very popular, being Red and for which I’m helping people get the most out of Hibernate. I also wear a trainer hat and a blogger hat as well as an author one. My interests are database and distributed systems, and everything about data in general. Q. 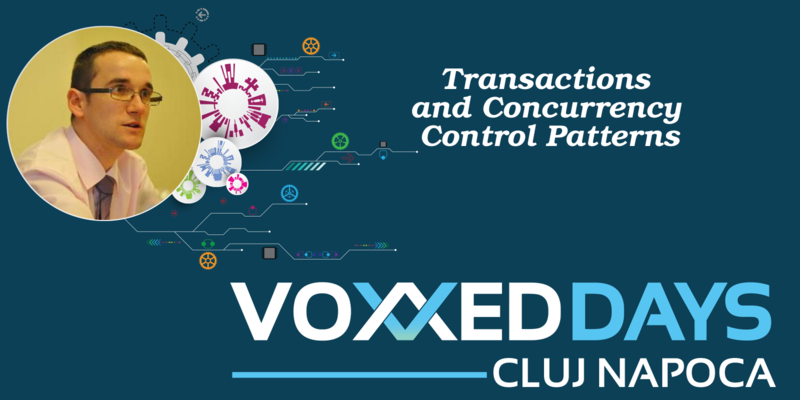 Why did you select this topic for your session at Voxxed Days Cluj-Napoca 2017? I selected the Concurrency Control topic because it’s a very challenging topic which is covered by a very thick mist in general. After attending my presentation, you are going to know more about various concurrency issues and how you can overcome them. My talk should be attended by any Java developer who needs to interact with a database system, be it a relational database, NoSQL or NewSQL database system. There multiple things that we’ll get unraveled in my talk. First, we are going to see how a database system works internally. We will see what anomalies can occur due to relaxing consistency. After explaining Serializability, you are going to see why it’s not sufficient for present day applications. Q. Aside from speaking at Voxxed Days Cluj-Napoca 2017, what is the year review look like for you? Besides conferences, I’ve also done lots of awesome on-site training sessions. So, if you are struggling with database performance, let me teach you how to run your application at warp speed. For the next year, my number one priority i to finish my Video Course. Other than that, business as usual: making Hibernate even better, blogging, doing training, speaking at conferences.